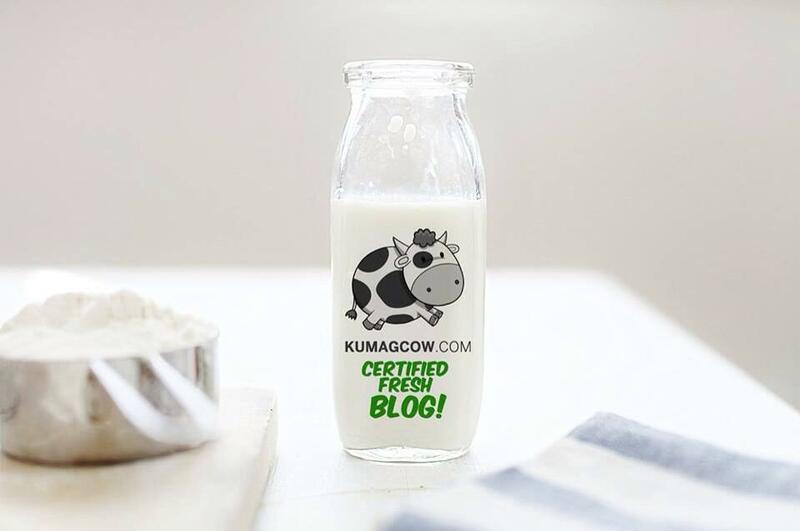 Do you have the knack for telling stories? Do you have the talent and play with words? 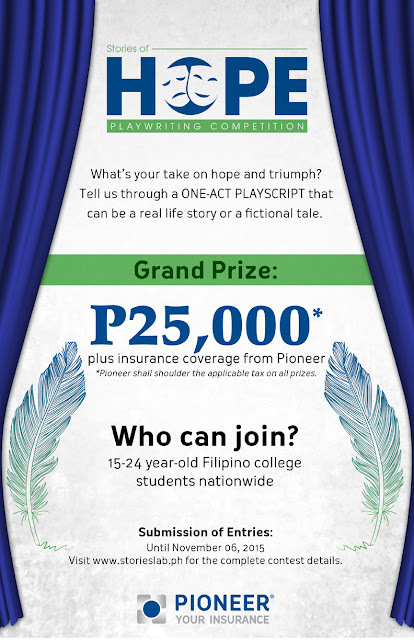 You might want to think about submitting an entry to Pioneer Insurance's Stories of Hope Playwriting Competition as you can get to win Php 25,000 in cold cash and insurance coverage for yourself. Imagine putting in your work into something that could eventually be a material for a play, having actors and actresses utter those same words for audiences to enjoy if it's that good. You must be a college student, 15-24 years old, a Filipino and have the passion for writing. If I were still that young, I would have submitted mine. But since I'm already 25 this year LOL.. anyway, it would really be a good stepping stone if you want your writing career to have a jumpstart. I heard there are several entries already and with the Virgin Labfest Tours going to schools, I wish they get inspired more so they can get those materials out there for the ordinary Filipino to enjoy. 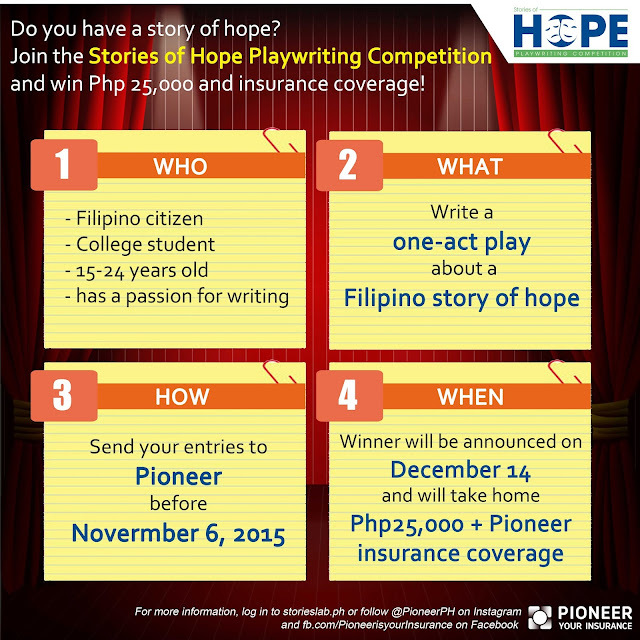 Go to http://www.storieslab.ph to know more about it.